The IT Krew: How does the Web Work? What Hardware and Software do you need to be able to connect to and use the Internet? · And finally an account with an Internet Service Provider (ISP). These things work together to establish a connection to the internet and allow the access to the web. 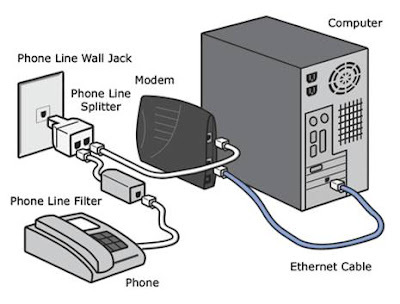 First of all the computer is essential, next the modem is necessary if you are using a telephone line to access the internet. It translates the language that computers talk into a language that can travel across the phone lines, and vice versa. Two lots of software are also needed to connect you to the internet. The first is the software that connects you to your ISP and the second is a browser. Browsers go and get web pages and display them on your computer. The two most popular and commonly used are Mozilla Firefox and Google Chrome. Finally the ISP provides you with an account that you will pay monthly or yearly in return for accessing the internet through the ISP. This account will come with a user name and a password that you use to log on to the internet. What is a PowerPoint and what you can do on it?